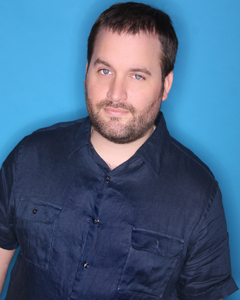 Tom Segura is a comedian originally from Cincinnati, Ohio, though he was raised in too many places to list. His television credits include Conan, Comedy Central Presents (half-hour special), Showtimes’ Russell Peters Presents, and Live at Gotham! When he’s not on tour Tom continues to perform at the top comedy festivals in the world, including Montreal’s Just For Laughs Comedy Festival, The Melbourne International Comedy Festival, The Comedy Festival – Las Vegas, The South Beach Comedy Festival, and The Global Comedy Festival in Vancouver. Tom also regularly appears on syndicated radio shows The Bob and Tom Show and The Jim Rome show. Additionally, his noted podcast, Your Mom’s House can be heard weekly at YourMomsHousePodcast.com.